Sheet metal shears as the name suggests is the machine usually been used to cut metal sheet. The selection is calculated by the general Q235 plate. If cut Q345 plate, then should choose the model x 1.4 times. Check out How to distinguish the steel plate from Q235 and Q345. If it is cut stainless steel, x 1.6-2 times. If cut 10-40mm plate, the guillotine shears is better. Metal shears is widely used in sheet metal fabrication industry. It can cut a variety of thickness of the steel plate material. The machine used is called a squaring shear, power shear, or guillotine. The machine may be foot powered, less commonly hand powered, or mechanically or hydraulically powered. It works by first clamping the material with a ram. A moving blade then comes down across a fixed blade to shear the material. Metal shears classification: generally the plate cutting machine can be divided into foot (human) power shears, mechanical shears, hydraulic swing beam shears, hydraulic guillotine shears, hydraulic CNC control shears. Hydraulic shears is by the movement of the upper blade and fixed blade, the use of a reasonable blade gap, apply a shearing force to the metal plate with various thickness, so that the plate is broken apart according to the required size. The sheet metal shears are often used to cut the blanks of straight edges. The shearing process should ensure that the shearing surface of the shearing surface is linear and parallel to the requirements and minimizes the sheet distortion to obtain high-quality workpieces. Metal cutting shears is a kind of forging machinery, mainly applied the metal processing industry. Products are widely used in light industry, aviation, shipbuilding, metallurgy, instrumentation, electrical appliances, stainless steel products, steel construction and decoration industry. “A machine that uses a blade to reciprocate a straight line against another blade to shear a sheet“. plate open line metal shears: for the plate uncoiling line, designed in line with the requirement of the fast production line. Thick plate line mostly use hydraulic high-speed plate cutting machine, while thin plate line usually equipped with pneumatic metal cutting machine. The high-speed line is equipped with a flying shear machine, featured continuous production and high efficiency. The upper and lower blades of the metal shearing machine are angled, and the upper blade is generally inclined and its inclination angle is generally 1 ° to 6 °. 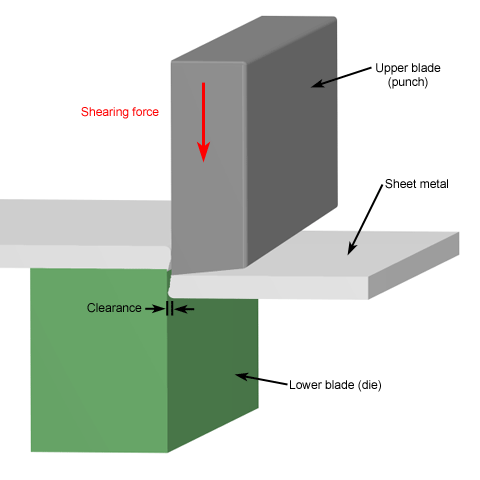 The cutting force of the inclined blade shear is smaller than that of the flat blade shear. Therefore, the motor power and the weight of the whole machine are greatly reduced. Shear quality is good, twisted deformation is small, but with large shear force and energy consumption. Most are the mechanical transmission. The cutting edge of the cutting machine is parallel to each other, commonly used in the rolling mill for hot billet and slab shearing, can be divided into upper cut and lower cut according to its cutting method. 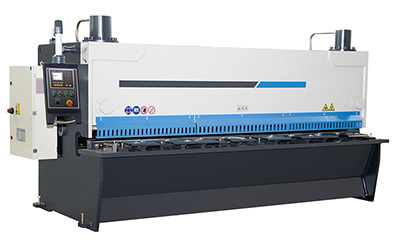 sheet bending cutting machine: that is, in the same machine can be completed on both shear and bending process. 1. Wear tight protective clothing before the operation, cuffs fastening. Do not wear, remove clothes, or encircle the body beside running machine incase been hurt by machine. 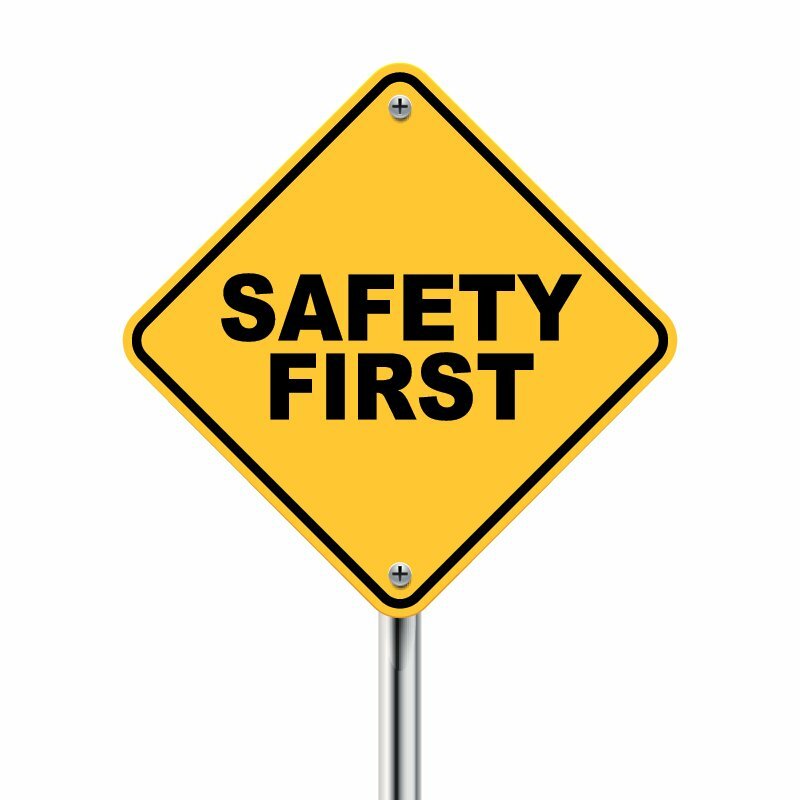 Must wear a helmet, braids should be placed in the hat, not wearing skirts, slippers, shall not wear gloves. 2. The guillotine machine operator must be, familiar with the main structure, performance and use of the plate cutting machine. 3. 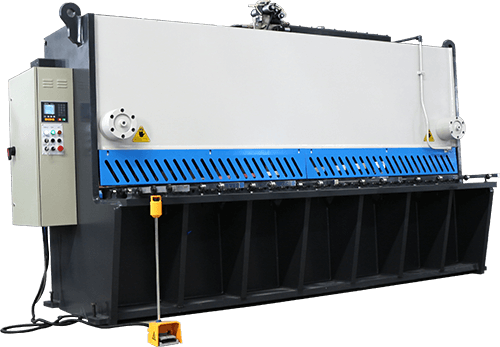 This guillotine is suitable for all kinds of steel plate, copper plate, aluminum plate and non-metallic material plate for thickness with rated value, no hard marks, welding slag, slag, weld material, does not allow ultra-thick. 4. How to use the metal guillotine shears? A. according to the thickness of the material being cut, adjust the blade gap. B. adjust the mold or fixture according to the width of the material to be cut. C. start 1 to 3 times the empty running, then put into use after it functions well. 5. If found in the use of the machine is not normal operation, should immediately cut off the power to check. 6. Must cut off the power when adjusting the machine, pay attention to the safety of the hand when moving the workpiece. 7. The machine parts should always keep the lubrication, each shift should be filled with lubricants once by the operator, every six months to filling lubricating oil once onto the rolling bearing parts by the mechanic. Start the guillotine shears for a number of cycles empty running, try to cut the different thickness of the sheet under normal circumstances, from thin to thick. 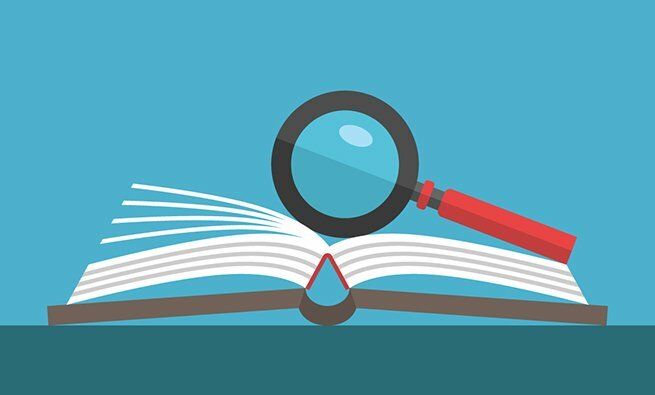 Make sure the user is familiar with the shears performance. Adjust the blade clearance for the testing cut plate with different thickness. If you do not adjust the corresponding blade gap, then affect the blade durability. 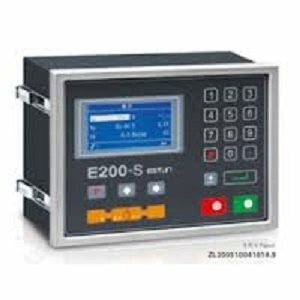 open the pressure gauge switch to observe the oil pressure in the shear process, pressure should be less than 20MPa when shear 12mm plate, factory set pressure 20-22MPa. 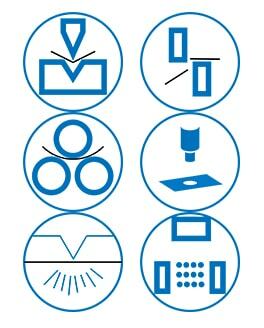 The user must comply with this provision, shall not cut the material exceed specified thickness, otherwise will raise the pressure and causing damage to the machine. Sound balance during operation. If there is noise in the shears, it should be checked. When the plate cutting machine is operated, the maximum temperature of the fuel tank should less than 60 degrees. If exceed the temperature, stop the machine for some rest. In another blog post, you can check out Hydraulic Shearing Machine Operation Manual. A domestic simple cutting plate CNC system, with multi-step programming function, you can manually or automatically adjust the size of the back block, can modify the parameters, simple operation, easy to use. R & D and produced by the Hong Kong Sanymicro company, is economical simple CNC system, able to realize multi-step programming, manual, automatic back gauge adjustment and automatic retract function. 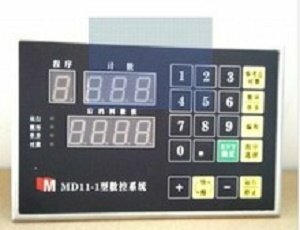 Nanjing Estun manufacturing, special CNC controller used on plate shearing machine. Double row 12 section LEC display, multi-step programming, automatically run, power memory function, fast location teaching function, the system is stable and excellent. 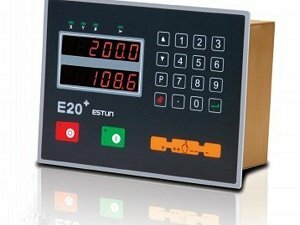 Nanjing Estun production, 240 × 128LCD display, Chinese and English operation menu, a number of processing step programming, one-way positioning function, automatic position compensation function. 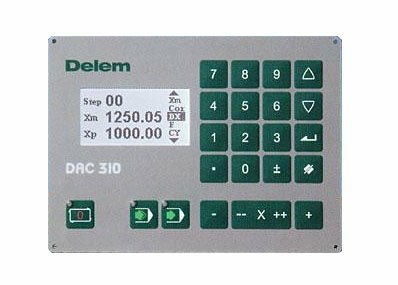 Netherlands DELEM production, imported CNC controller for metal plate cutting machine. 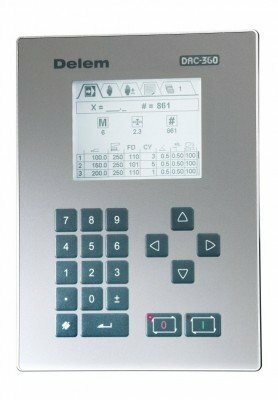 275 × 48 high-definition LCD display, 100 program step programming, professional servo control technology, more accurate cutting accuracy. Plate cutting machine CNC system imported from the Netherlands, DELEM production. 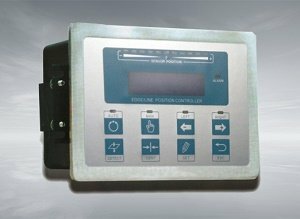 4.7 “high brightness LCD display, shear pressure automatic calculation, automatic control of backgauge, shear stroke, shear angle and blade gap, I / O port flexibility definition. I like your Post. It’s a useful Information about metal shears definitions. Thanks for sharing the post.